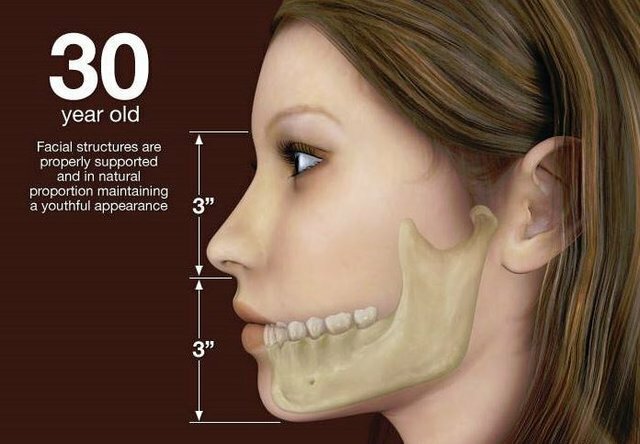 Pasadena, Texas Dentist Dr. Nugent talks about bone loss and how it leads to a pre-mature elderly appearance. 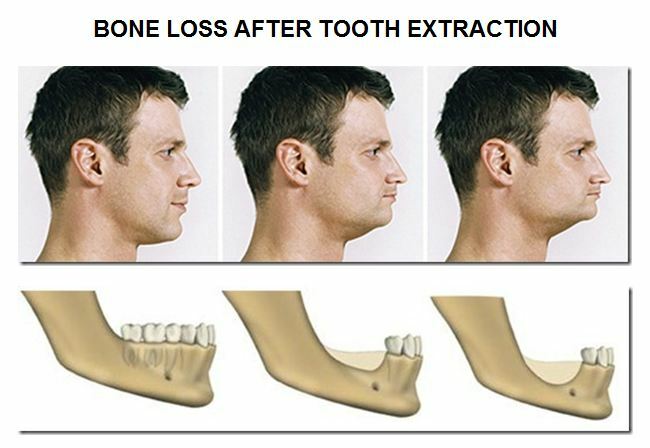 When teeth are lost the bone that once supported the teeth will start to rapidly disappear. This causes changes in the appearance of the face. When teeth are lost the facial contours change. 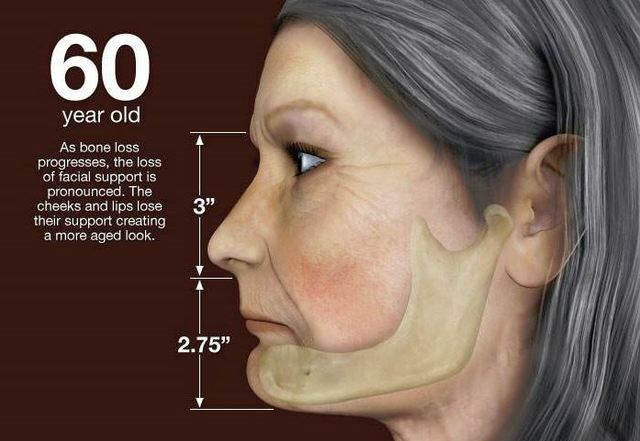 There are increased wrinkles around the mouth. The chip moves forward and upwards as the lower jaw no longer has efficient stops. Thus, the lower jaw swings further upward. Dental implants are the only tooth replacement option that stimulates and preserves bone. 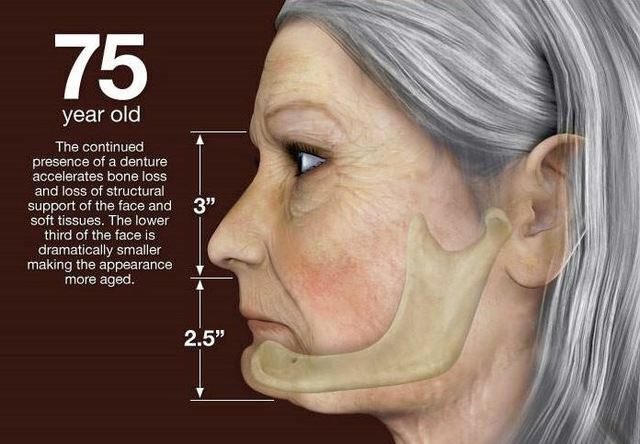 Dentures, partial dentures and bridges do NOTHING to preserve bone. In fact, dentures actually speed up the bone loss because the dentures continually rub and irritate the gum tissue. 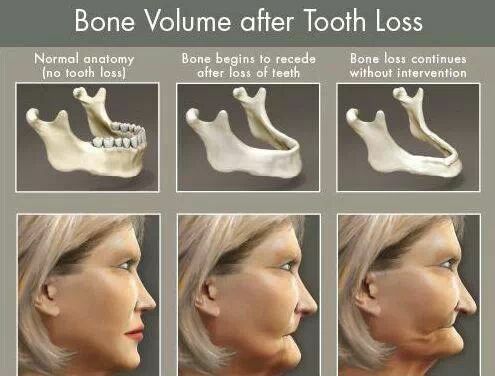 In order to maintain your jawbone and correct facial appearance it is vital to replace missing teeth. The gold standard to replacing missing teeth it with dental implants. Dr. Nugent is a top leader in the dental implant field. From simple tooth replacements, implant dentures or the All on Four dental implant procedure Dr. Nugent can help you regain your proper dental health. Call us today at 713-941-8261. We are located at 3421 Burke Rd Ste A, Pasadena, Texas 77504.